The DM-6, 8” Extender is an easy way to add an extra 8” height to your DM-6 Standard Tripod or any tripod with a flat base and 3/8”-16 mounting bolt or knob. The DM-6, 8” Extender has the same top base as the DM-6 Tripods making mounting your DM-6 fast and easy using the captive mounting knob and just as easy to be removed for transport or storage. In addition the 8” Extender helps keep your face and telescope away from the tripod legs when viewing near Zenith and makes a great handle for carrying or moving your tripod. Extensive testing has shown the DM-6, 8” Extender adds no vibration and can decrease vibration by allowing shorter tripod legs. 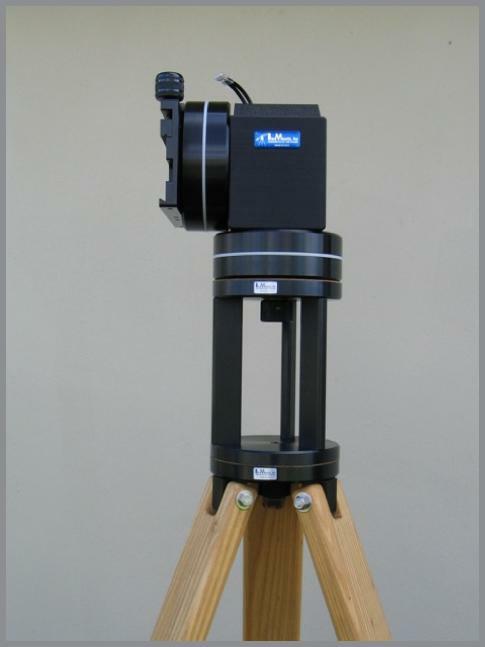 The added height can put additional strain on some tripods. The top base of the DM-6, 8” Extender is covered with a strong cork like material that makes a perfect interface with the DM-6. 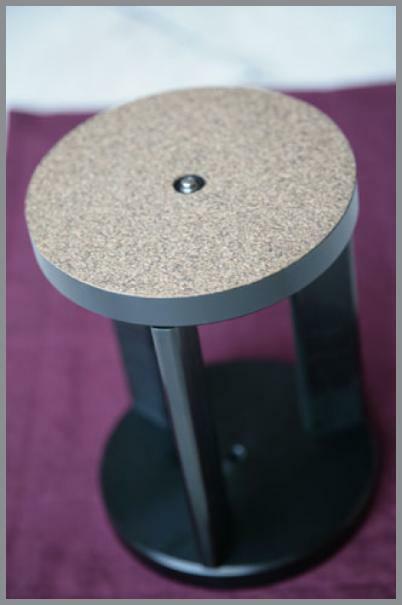 Bottom base is flat, 6” in diameter and has a 3/8”-16 (standard US tripod) mounting hole. Top base is flat with a 6” in diameter and has a 3/8”-16 (standard US tripod) captive mounting knob. Weight 5 lbs 5 oz.